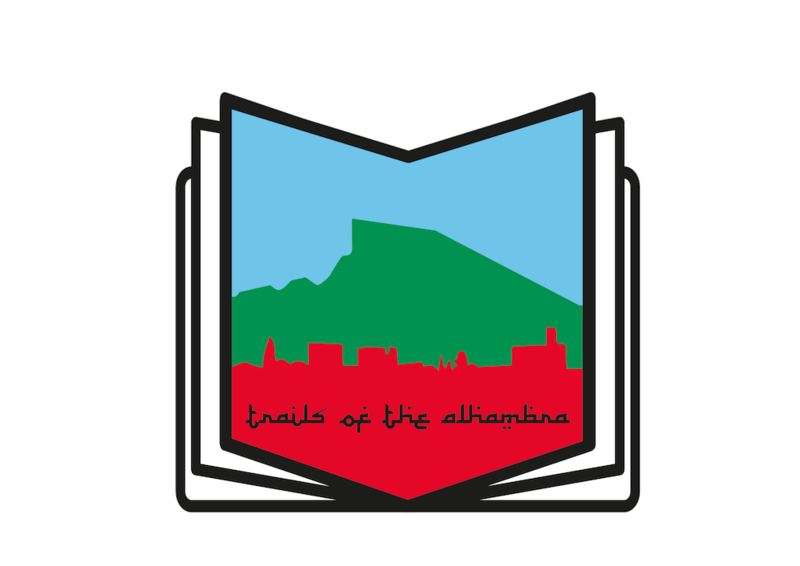 Your heart rate will soar to new heights on this punchy mash-up of trails stitched together from the paths that lace the area — called Llano de la perdiz — just behind the Alhambra. 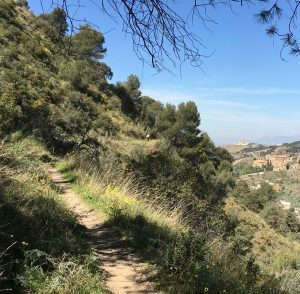 It is intended to maximize the singletrack options while offering unbeatable views and some nice descents all in a short ride that can start and end in the center of Granada. You can pick up the ride wherever is closest to you. We started from the fountain in the center of Cenes de la Vega but you can just as easily ride to the parking entrance of the Alhambra and merge with it there. Ride highlights: Silla del Moro with a view down upon the Alhambra; a short but sweet descent at (our) km 7.4; views of both the Sierra Nevada mountains on one side and Sacromonte and the Albaicin on the other; and an uncrowded stretch of singletrack along the west side of Llano de la Perdiz (but careful, Hicham says if you sneeze really hard, the kickback could throw you over the edge and there’s nothing to stop your fall so balance is key here). We finished by diving back into the woods parallel to highway A-395 where there’s a bit more singletrack before dumping us out by the road back up to the fountain in Cenes, which happens to be right next to one of our favorite post-ride, beer-and-tapas stops, Rejas. When he first saw the ride pattern on the map, Hicham thought it looked like a dragon but then he changed his mind and said it was a viking ship so hence the name. distance = 30km/18.6 mi. elevation gain = 786m/2,759 ft.